Earn FUNds and get cool stuff like the Xbox 360s, Samsung Galaxy S2, PS3s, Nikon DSLRs, movie passes and more stuff for cheap (or even free)! Join & register through this link to get a bonus 200 FUNds when you sign up! 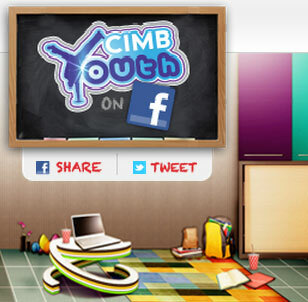 Visit CIMB YOUth Facebook fan page for more detail. Now everyone can fly but not many have been to a place like Sweden's ICEHOTEL. Want to go? Check out Tiger Crystal's ICEHOTEL contest!